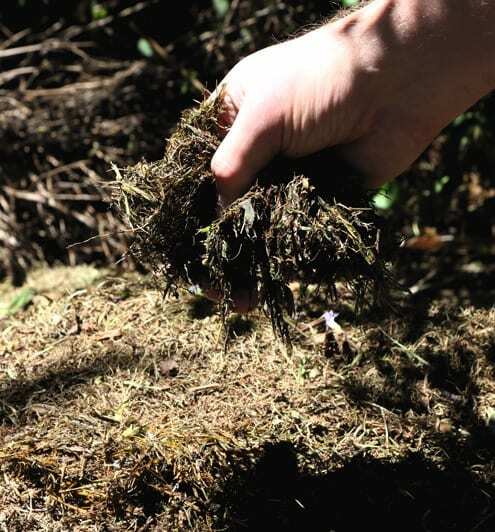 Using the same materials all the time (lawn cuttings and dried leaves) might produce good-looking compost, but it will be limited in terms of the nutrients and good bacteria that make compost so effective. 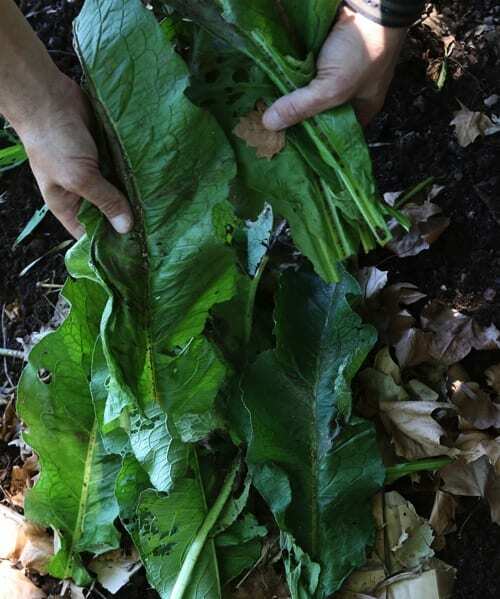 Try to mix it up as much as possible, using household waste (except meat, dairy, onions and citrus), all the trimmings from the garden (not just lawn cuttings) and make the most of fallen leaves. Shredded paper and cardboard are also beneficial. Nutrient-rich compost consists of both nitrogen (which comes from green material) and carbon (from dried material and paper). The best way to achieve this is to make layers of brown and green material. Layering also speeds up decomposition. When green material decomposes it generates heat, and by putting a thick brown layer over the green, the heat is trapped, which kills pathogens. If the heap has gone dry and dormant, it needs moisture. Turning and watering a compost heap should regenerate it. 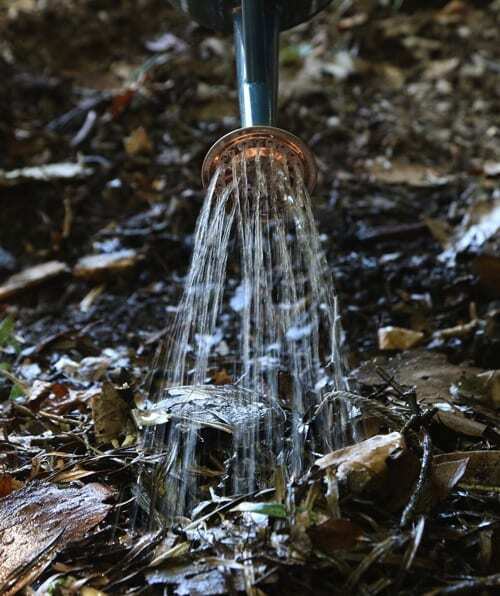 Put a sprinkler on top of the compost and (depending on the height) run it for 30 minutes to an hour so that the water penetrates right through. Check the middle of the heap after watering. If the compost still doesn’t heat up, re-build it by adding more layers of nitrogen-rich material, like manure, and water the layers as you go. 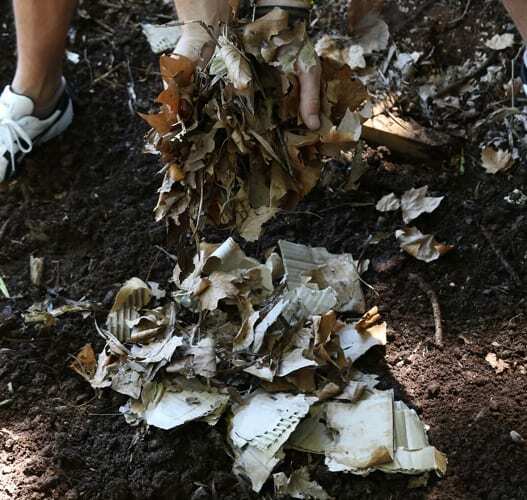 Cutting or shredding garden waste can speed up decomposition, but if the texture is too fine the heap lacks ‘pore spaces’ for air, which is necessary for the decomposition process. Diversity of textures is as important as diversity of materials. The quicker the turnaround of compost the better, because there never seems to be enough. When making layers, include finished compost, a sprinkling of manure (not too much) or rich topsoil to introduce the beneficial bacteria. Herbs like yarrow, borage, and comfrey are excellent activators that speed up decomposition. Add them with the green material. Turning the compost heap at least once a month (twice is better) adds air, which also speeds up decomposition. And don’t forget to keep it moist! The materials in the compost should feel damp, like a wrung-out sponge. You may love being lavish with the compost, but the experts say that it is a waste. Rick Carr, compost expert at the US Rodale Institute’s organic farm, believes that only 5cm of compost needs to be mixed into raised beds. For potting soil add 25 – 50% of compost but no more, and don’t start seeds in compost because it has a high mineral salt content that prevents germination. Too many grass cuttings for the compost? Leave some on the lawn and they will help to fertilise the lawn. Microorganisms use up a lot of water, which means that during a heat wave you need to water the compost – almost as often as you water the veggies. When using household waste, make sure that it is covered with a thick layer of brown material so that it doesn’t attract flies, rats and other pests. Save autumn’s falling leaves in bags for use during summer. Pine needles, straw and layers of paper or cardboard also work.